I have an epic love-affair with New York City. It’s my favorite city in the world for 1,001 reasons. But today, we focus on one: the desserts. 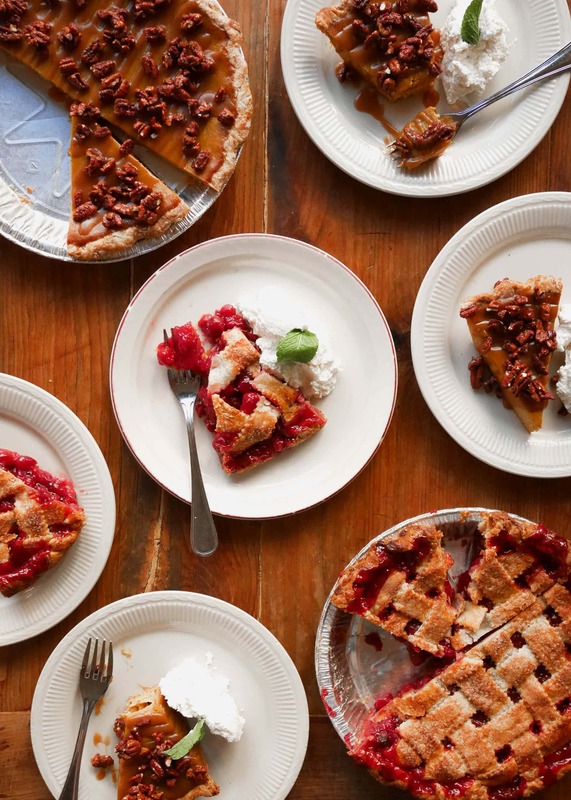 From cookies to pies, NYC’s dessert game is strong. 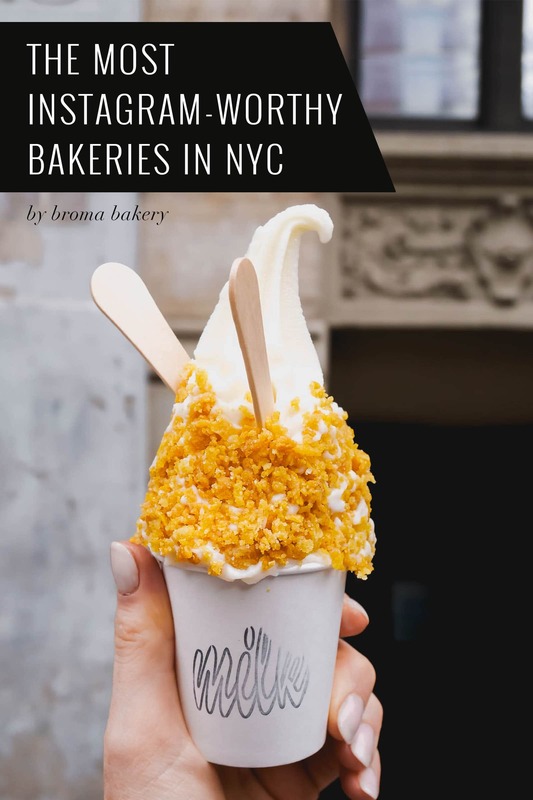 So this winter, I took a trip to the city, where I made my own dessert-filled itinerary, eating at 13 bakeries in 4 days. 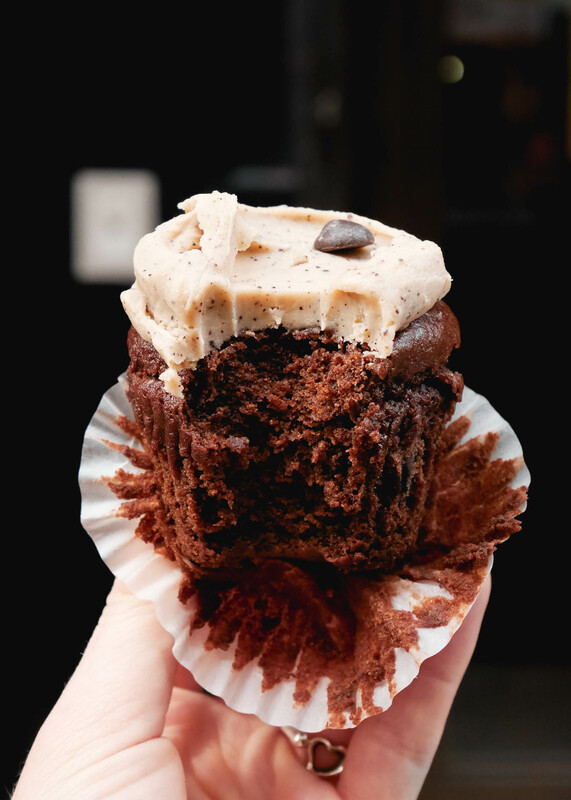 I’ve highlighted my trip in this post: The Most Instagram-worthy Bakeries in NYC. 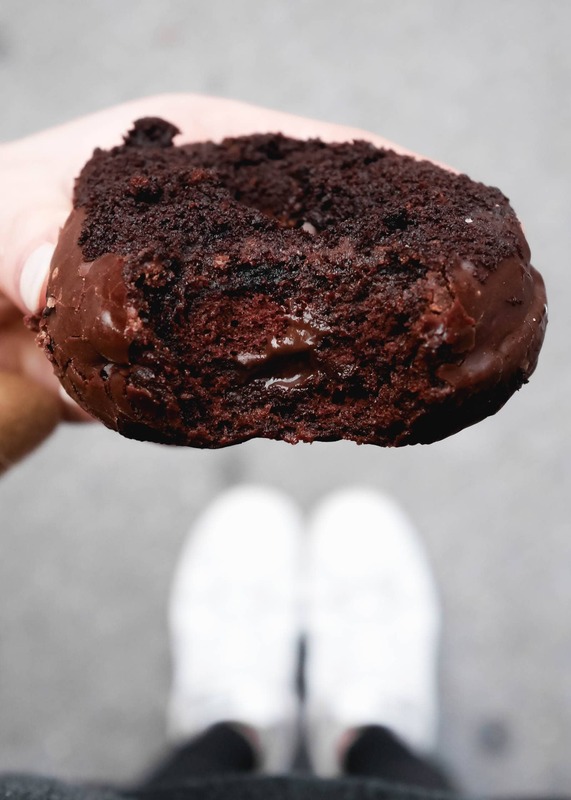 You’ll find brownies, ice creams, brunch, donuts (donuts! so many donuts! ), and more, each more photographable than the one before it. I purposely decided not to go to a lot of the “big name” bakeries (Dominique Ansel, Magnolia’s, etc) because they’re almost too hyped up. 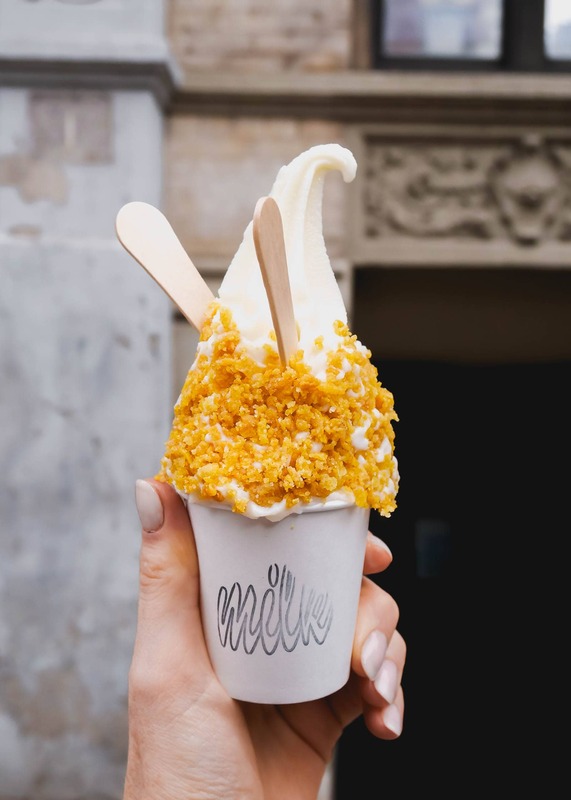 Instead, I focused on places you may or may not have heard of, that have, in my opinion, some of the best desserts in NYC. Without further adieu, bon appétit! I am addicted to three foods: brownies, pizza, and the Momofuku corn cookie. Like seriously I could eat their corn cookie every day for the rest of my life and be happy. 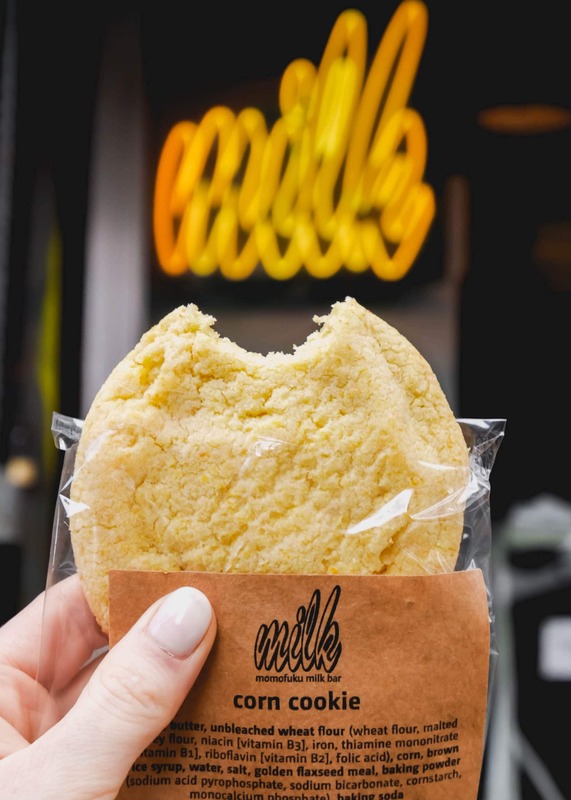 So to say you probably should go to Momofuku Milk Bar when you’re visiting NYC and get a corn cookie is an understatement. You need to. In addition to the life-changing corn cookie, I recommend the cereal milk soft serve and the famous Crack Pie. If you’re searching for the best pie in the city, look no further. 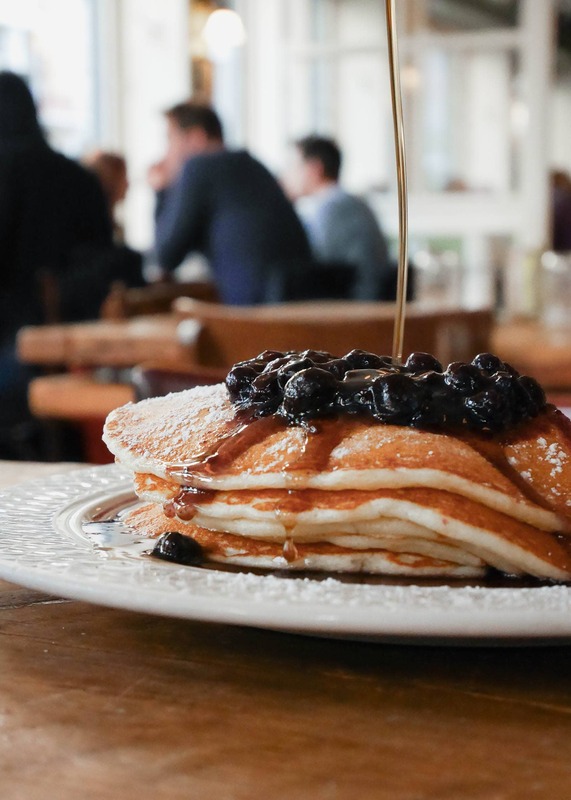 Bubby’s is a staple in Tribeca, frequented by families and celebrities alike for their elevated comfort breakfast food. 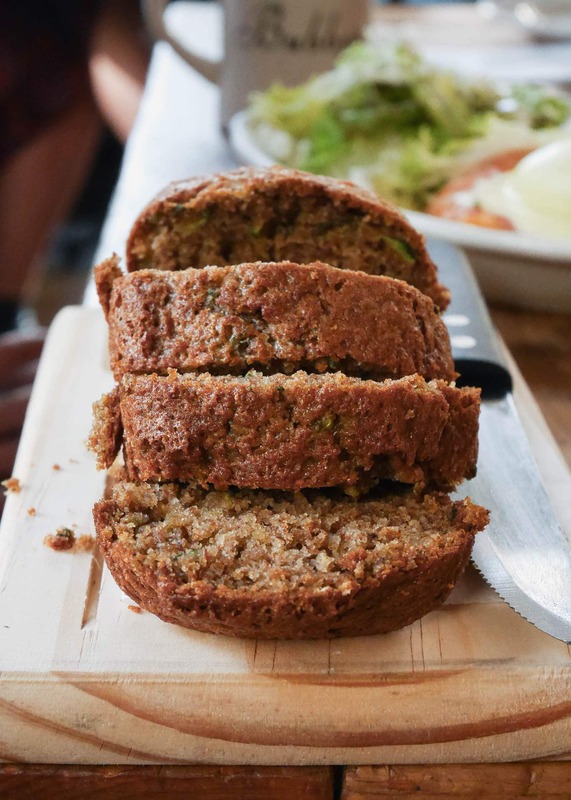 I’m talking things like one of the best zucchini breads I’ve ever had in my life (that’s saying a lot) and the most incredible pies made from scratch daily. Flavors include Sour Cherry, Lemon Meringue, and more seasonal flavors like Pumpkin and Double Crust Apple. SWOON. 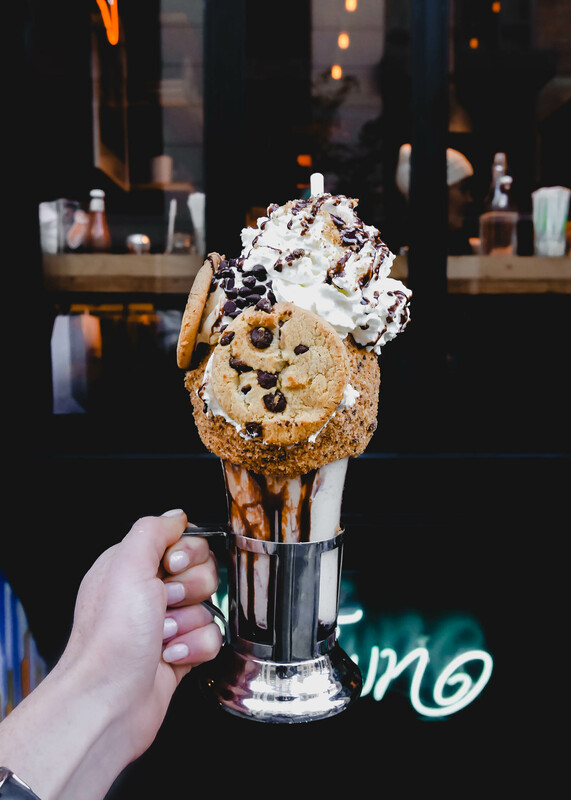 Black Tap Tavern makes the most ridiculous giant milkshakes in the city. If you’re OK with waiting up to an hour for a milkshake, it’s totally worth it. Even after a day of exploring bakeries, I could barely stop drinking the Cookie Milkshake. Yurmmmmm. 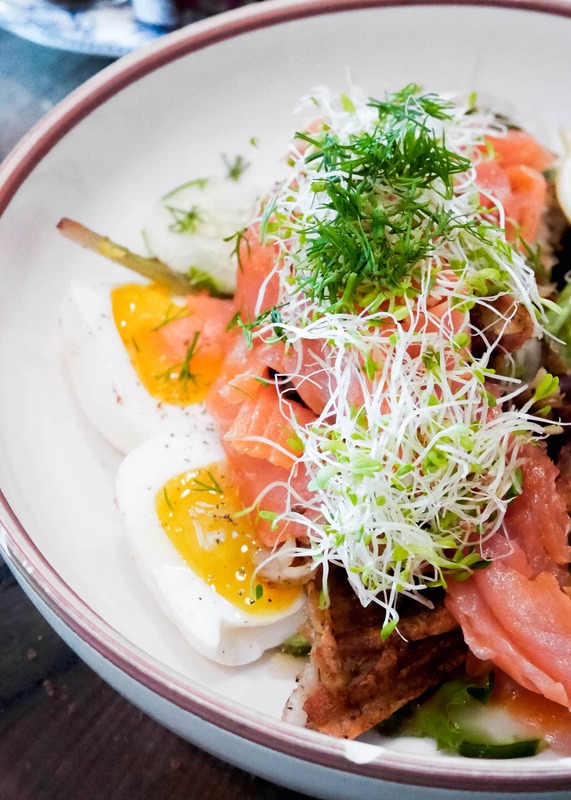 Maman is everything you want in a French cafe: rustic, French-country feel, seating that you want to curl up in, and artfully-prepared dishes. I was a huge fan of Maman, from the service to the baked goods (get a cookie!) to the fantastic food. The Rabbit Hole, a brioche bun stuffed with honey-roasted pastrami, comté, balsamic caramelized onions, and topped with a fried egg was outstanding, as were the Waffle Iron Hash Browns with smoked salmon and poached eggs (both pictured below). 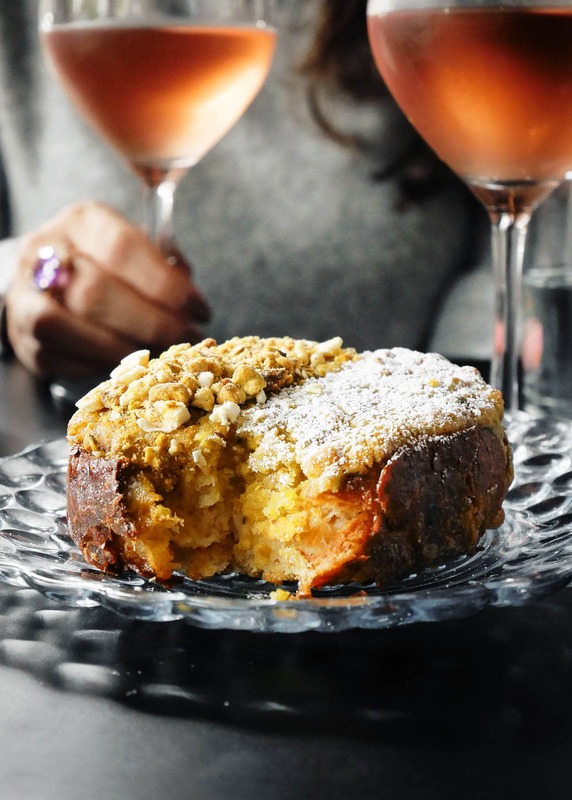 Everything at Erin McKenna’s is gluten-free, but you won’t be able to tell. 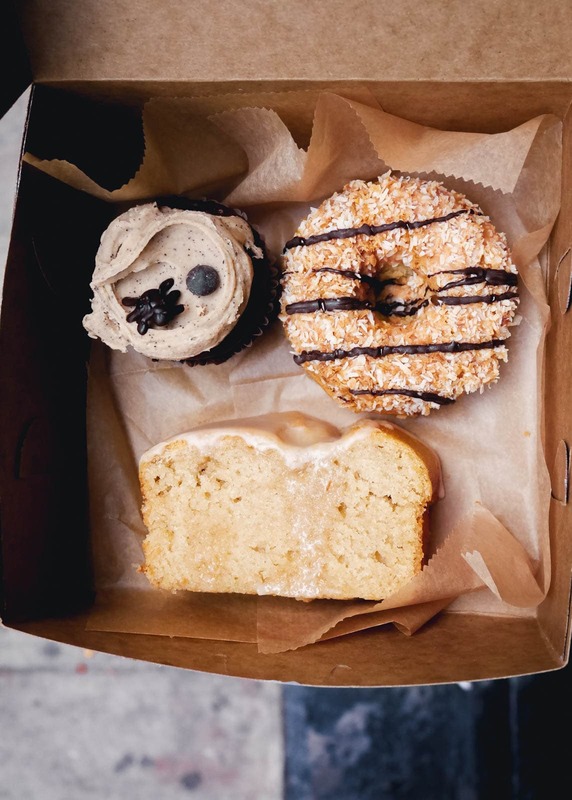 From the donuts to the cupcakes, I honestly have no idea how they make their baked goods so good sans gluten. 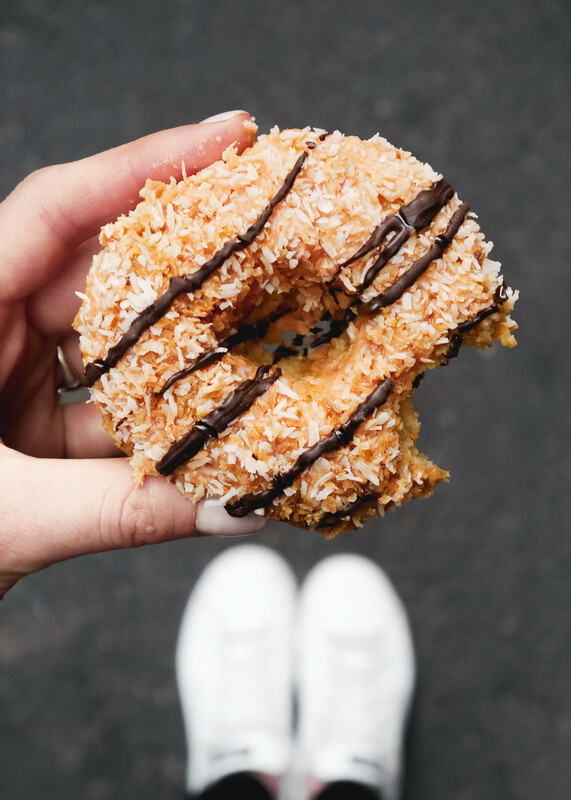 The lemon cake was insane good- super moist and velvety- and, I mean, who can say no to a Samoas donut? Not I, mon ami. At Ice & Vice I found myself eating an ice cream sandwich in 30°F weather and not even noticing the cold. That’s how you know this place is good. 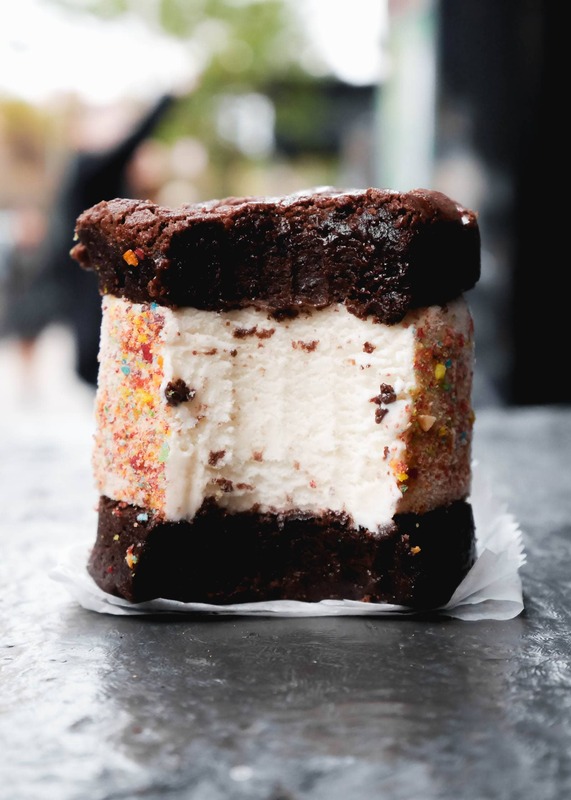 While the LES Ice & Vice ice cream shop is known for their killer line of exotic-flavored ‘screams (think Crème Fraîche with Rose Petal Jam and French Roast Coffee with Chicory, Saigon Cinnamon, Condensed Milk, and Donut Truffle), their ice cream sandwiches are pretty f***ing awesome too. Oh, and they’re stuffed between BROWNIES. Yaaaas. When I lived on the Lower East Side, on Sundays I’d often walk, hungover, to Doughnut Plant for an iced coffee and a donut. This place holds a special place in my heart, and I love their ever-changing combinations of both cake and yeast donuts. 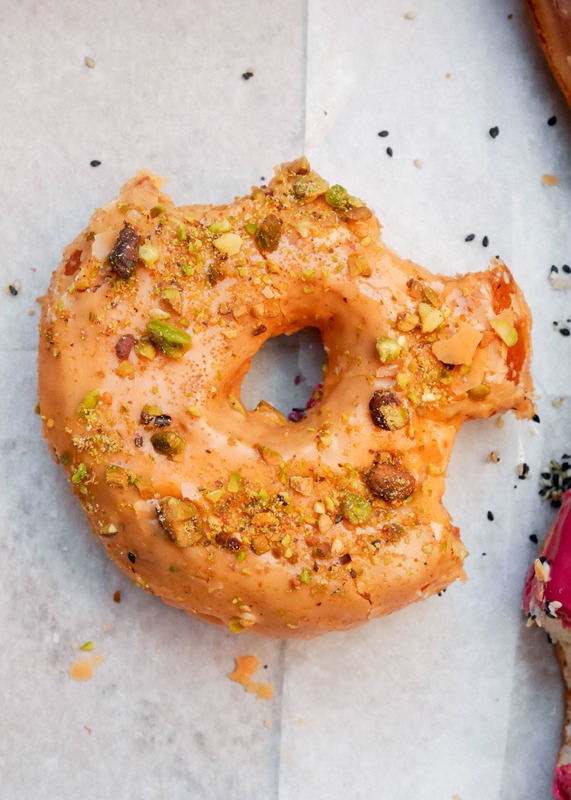 My absolute favorite was this orange cardamom cake donut (zomg), but since that was years ago and I’m not sure if they still have it, I can also vouch for the Blackout (pictured below), Peanut Butter and Jam, and Carrot Cake, which are all on the menu today. Because seriously, I can never have enough donuts. 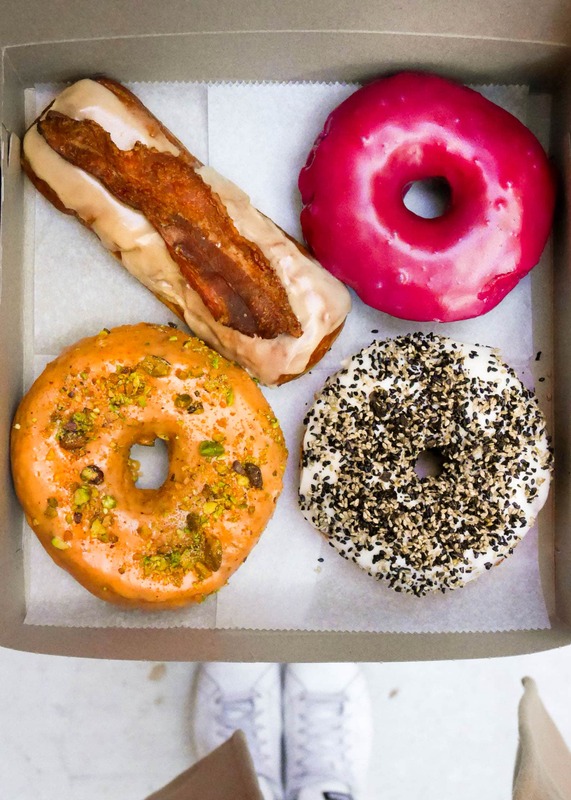 And the donuts at The Doughnut Projects are worth it, people. 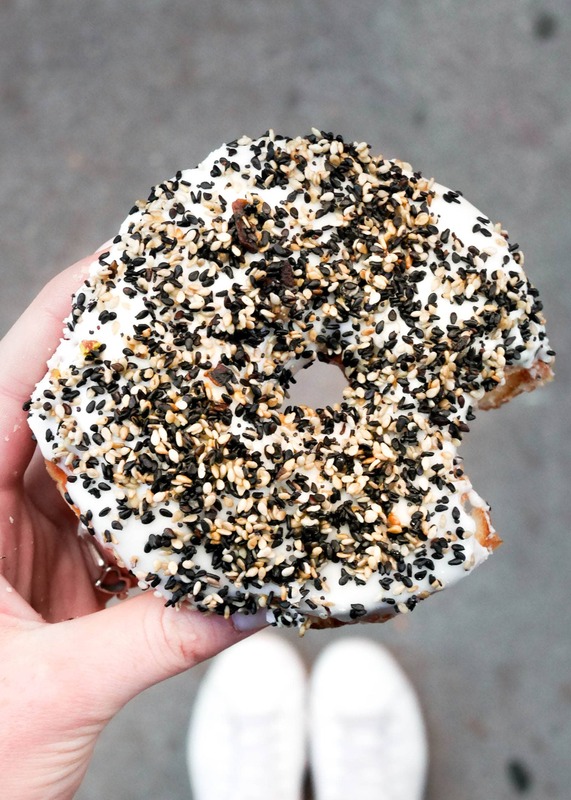 The Doughnut Project is located on a gorgeous West Village side street, and has innovative flavors like a yeasted donut with sweet cream cheese glaze and everything bagel seasoning (a little sweet and savory for ya). It was insane. 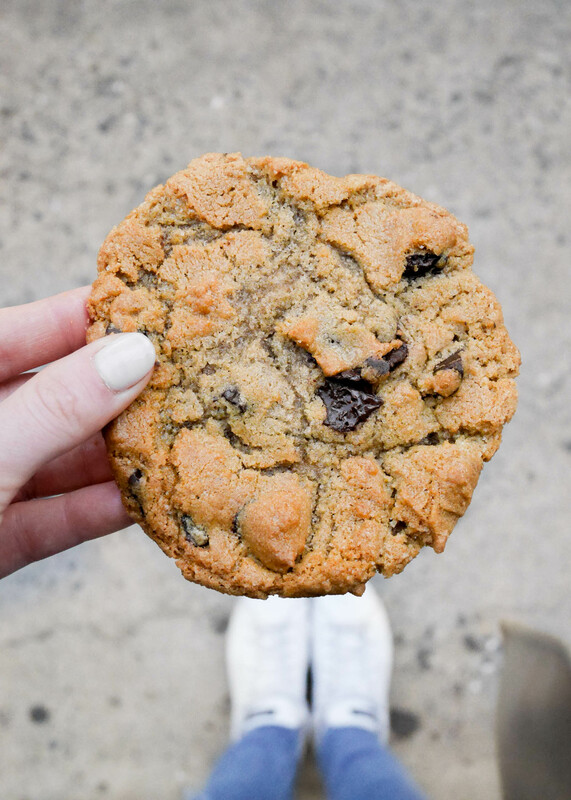 If you’re getting a cookie south of 14th street, it better be at City Bakery. This institution of a bakery has been serving NYC for 25 years. Most definitely get the chocolate chip cookie, and if it’s winter, the hot chocolate, served with a giant marshmallow! 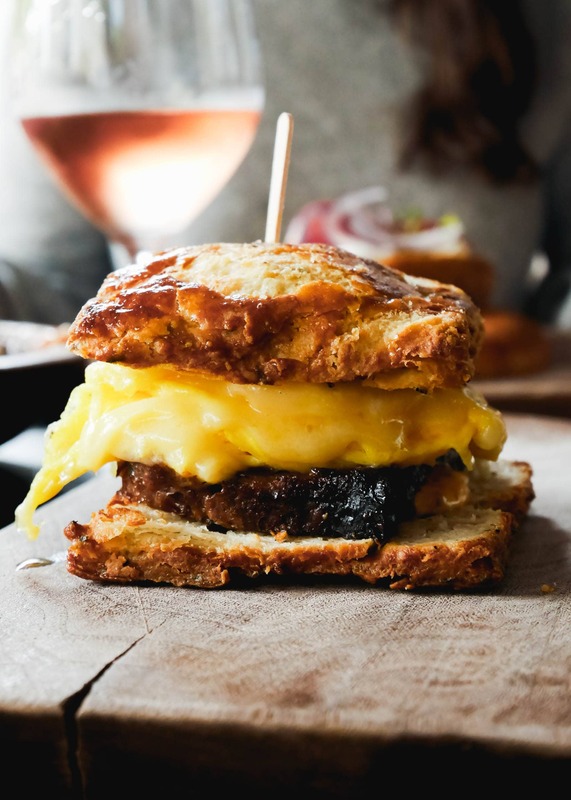 After stuffing my face with sweets for 4 days, I welcomed a savory brunch at High Street on Hudson. 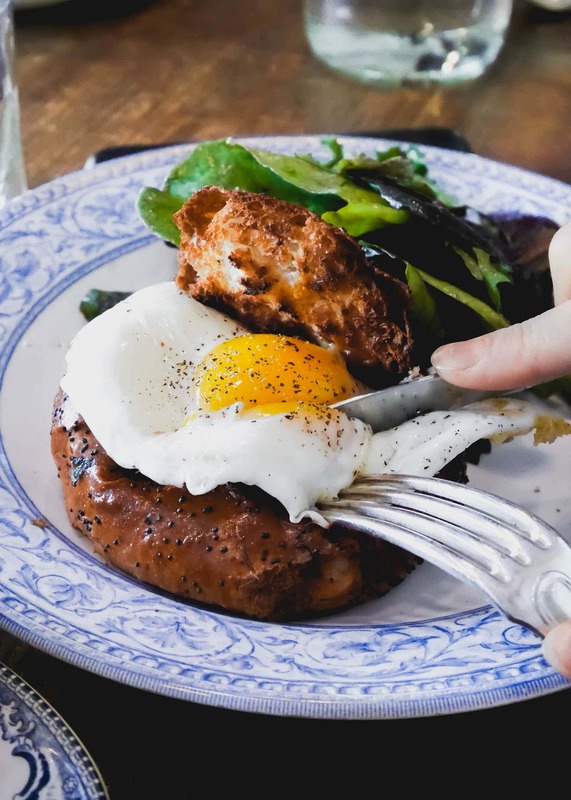 This West Village eatery is the perfect combination of classic and warm, so like exactly what you want for brunch. 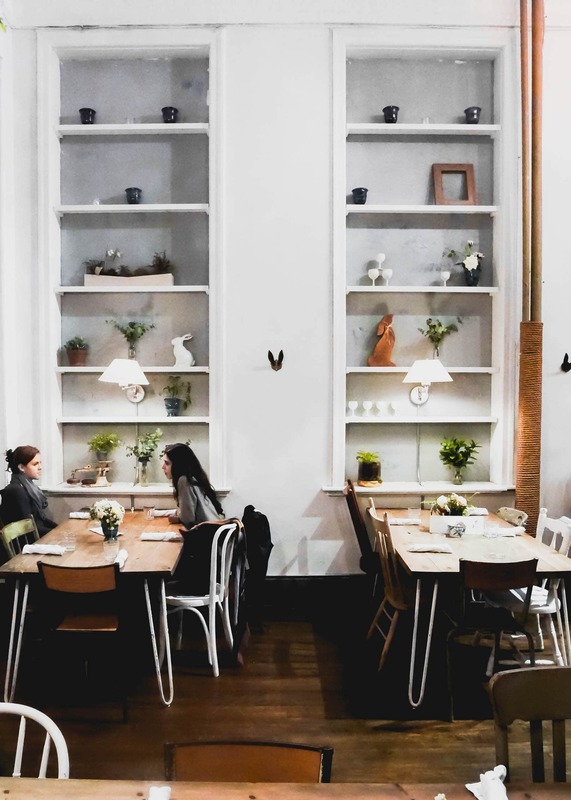 When I brunched with my dear friend on Sunday, we sat at a table no further than 8 inches from the table next to us, and struck up a conversation with our table neighbors and their French Bulldog, eventually sharing food from each others’ plates. It was adorable. 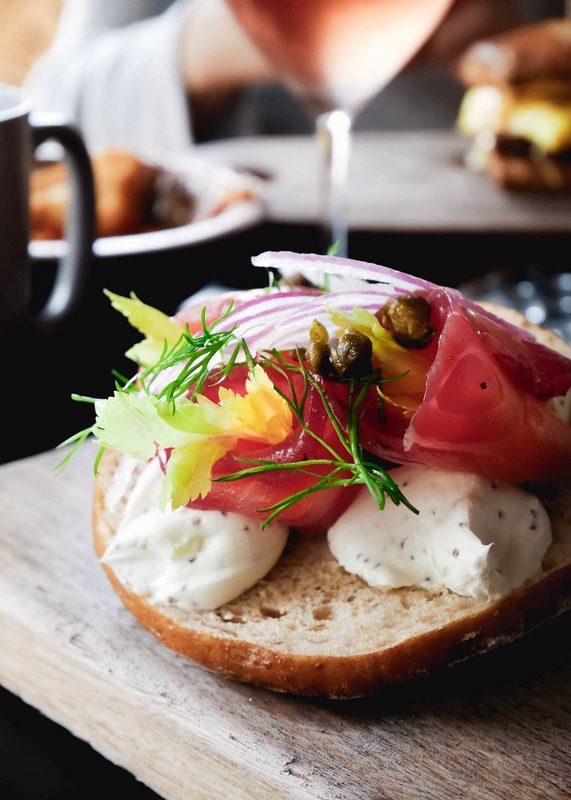 The Bodega Egg Sandwich was to die for, as was the Beet Cured Salmon Bagel. Honestly, I am surprised at the lack of brownie bakeries in NYC. Like I almost feel like I should open one up. 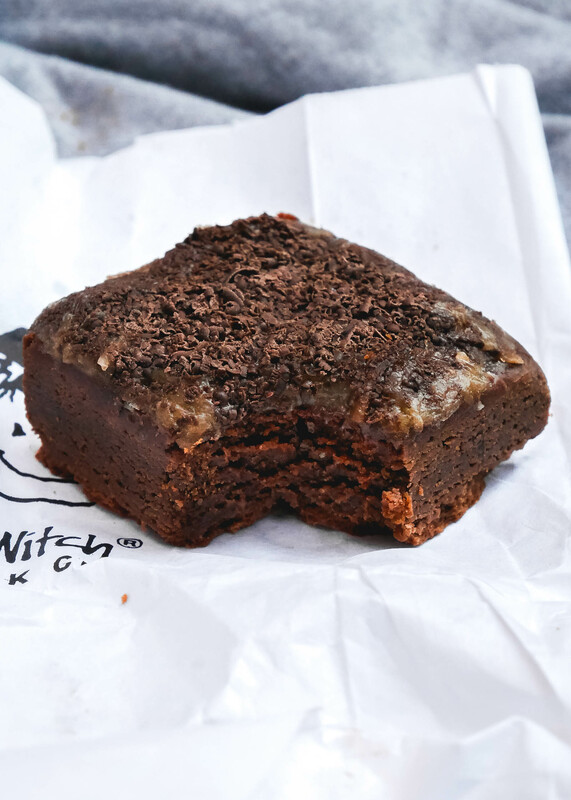 That said, Fat Witch‘s brownies are pretty ridiculous. They’re all individually packaged, making them too easy to carry around in your bag, and come in a variety of flavors like German Chocolate!! Oooh girl I need to go! Omg, going to the grocery store hungry is dangerous. Hope you planned some great meals for the week! Cant wait till Jacqueline lives there.! My short list is your short list!! 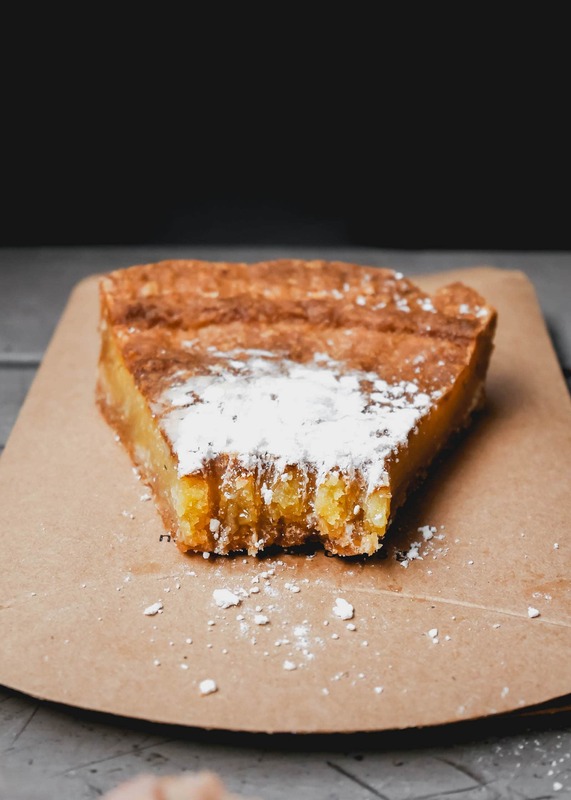 CRACK PIE. YES. so much yes. Can’t wait to try all of these! Thanks for the great suggestions! Oh I know. I am obsessed. They are so good at everything. Oh TOTALLY! Posting this made me want to go again, STAT!